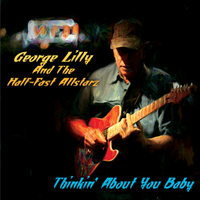 George Nighthawk Lilly after 50+ years of playing and singing professionally has finally put together his dream band. The Half Fast Allstarz marries a kicking' rhythm section and powerful saxophone sound to his Louisiana influenced Blues and R&B rhythms and melodies. Featuring his own original tunes and Blues and R&B classics by the likes of Little Walter, Otis Rush, Mose Allison, James Booker and Buddy Guy and Junior Wells in a punchy sometimes raucous sounding romp. Not to be missed by those who love the New Orleans style of Bon Temps Roulle!